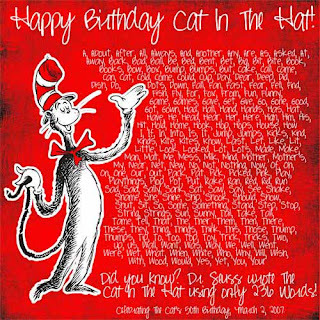 I finally finished this page, it's a tribute to The Cat In The Hat by Dr. Seuss. I loved this book growing up, and I love the story behind the book. The book turned 50 on March 2.